The following article by Steve Brandt was published in the March 29, 2016 online issue of the Star Tribune. Top Minneapolis parks officials have told Mayor Betsy Hodges that the parks portion of her outline to raise $300 million more for neighborhood parks and roads falls short of their needs. Hodges and City Council Member John Quincy, who chairs the council’s budget committee, said they support increasing already programmed property levy increases over the next 10 years to achieve their goal. That means roughly an extra 1.4 percent property tax increase for the two purposes, or almost a 5 percent increase annually. Parks would get $10 million annually and street repaving would get $20 million. 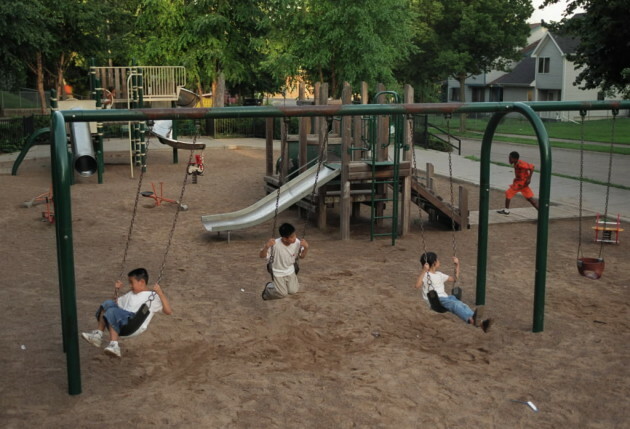 But the Minneapolis Park and Recreation Board’s original referendum proposal called for raising $300 million at a rate of $15 million per year for 20 years, mostly for repairing and rehabbing neighborhood park buildings and grounds. That would raise taxes by 5 percent, and inflate over time. Alarmed by the prospect of voters raising taxes by that much, council members Barb Johnson and Lisa Goodman developed an alternate proposal that the Park Board has voted support for. They’d raise $8 million for capital projects from existing City Hall sources, plus $3 million for better park maintenance with a 1 percent tax increase, both over 20 years. This entry was posted in Budget on April 7, 2016 by citoyen1789.